Home / Moto X / News / Moto X Force finally receives Nougat! Moto X Force finally receives Nougat! The Moto X Force just got the Nougat update, this time it's confirmed! Released in late 2015, the phone first launched with Android 5.0 Lollipop, then got Marshmallow and now it's getting the latest Android version (before Android O which will be released later this year, though it's yet to be confirmed if this device will get that one). 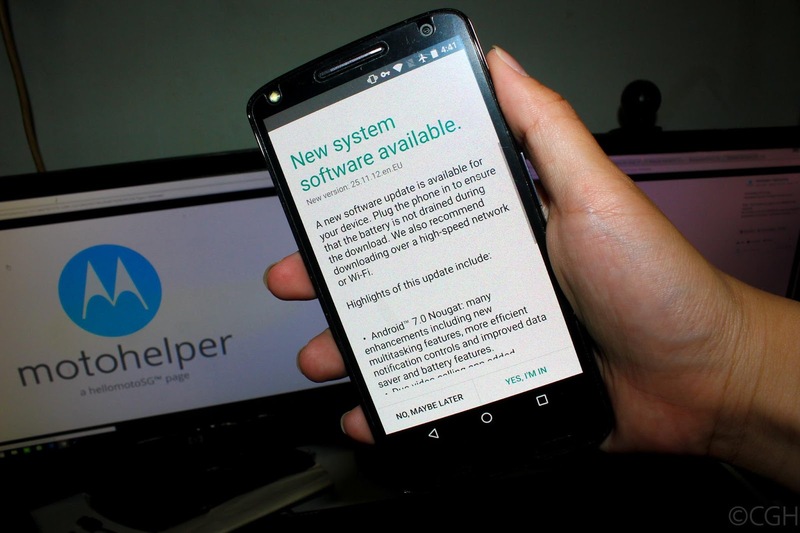 Unlike the previous scenario, in which Motorola published the release notes, now people are finally getting the update. The X Force was the first phone with an unbreakable screen, and also a powerhouse, with a powerful processor, a 21MP camera and a crazy long battery. It was also the first Droid to get the Moto Maker treatment in the USA. Motorola is rolling out the update right now according to users, so it might take a few days to reach all devices and maybe a few weeks to reach most regions. Nougat brings multi-window mode, Doze Mode for better battery life, and some other UI optimizations that take user experience to the next level.